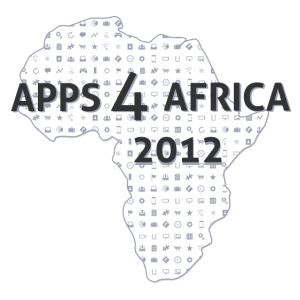 This year’s Apps4Africa 2012: Business Challenge will be launched at DEMO Africa on October 25-26, 2012 in Kenya- Nairobi. DEMO Africa is a technology and investor forum geared towards identifying leading innovators and supporting fast-growing technology startups. After the launch in Nairobi- Kenya, a series of Apps4Africa brainstorming sessions will be held in Africa with starting countries: Uganda, Zimbabwe, Democratic Republic of Congo, Nigeria, Ghana, Zambia and Senegal to debate and discuss openly the Business challenges facing the Youth, the entrepreneurs and technologists. The winners of this year competition will receive prizes, mentorship and a seed capital to help them start and take their Businesses forward. The Apps4Africa 2012: Business Challenge builds on the success of the two previous Apps4Africa competitions. In 2010, Apps4Africa focused on Civic Challenge and spurred developers to find innovative technology solutions to everyday problems on issues ranging from transparency and governance to health and education. The winning app – iCow – was developed in Kenya and enables farmers to better manage the breeding periods of their cows, helping increase yields. Regional winners of the 2011 Apps4africa competition on Climate Challenges in Africa came from Nigeria, Tanzania, Ghana, Senegal, Kenya and Botswana and produced apps that promote food security, health, sustainable agricultural practices, and disease monitoring.